Welcome spacefarer once again to Creative Characters for Starfinder! In this articles series I introduce you to groups of 5 PCs that follow a common theme. What’s more, they are ready to be copy-pasted right into your next session! 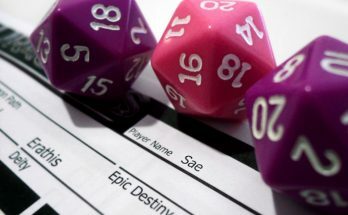 Need some PCs because a player forgot their character sheet? Or a player brought a friend along? These characters all come prepared, fully statted, with biography and background. Maybe you need an NPC but don’t have the time? We’ve got you covered. Just want to look at a character idea, for inspiration? We’re the place for you! Last article we met Jurgen Hartbern, a dwarf soldier who had his head in the clouds. He belongs to the group known as Fortune’s Heist. Today we’re going to meet Jurgen’s “boss”, though the boss himself hates that title. Say hello to Jefff “Triple F” Starclaimer. Skills Bluff +5, Culture +4, Diplomacy +5, Medicine +8, Mysticism +8, Perception +7, Sense Motive +7. Jefff is the heart of the group, literally. There is a glue that holds the group together and Jefff’s abilities reflect that, through his healing connection abilities, as well as his Diversion and Diehard feats. Jefff wouldn’t think twice about making a distraction for his buddies to hide, because he knows drawing the heat gives his friends a better chance of killing the bad guys. Diehard allows him to stabilize and get back up in the same round, a critical trick for the groups’ healer! The problem though lies outside of combat. Jefff has a long and twisted history of being on the wrong side of the law, and it’s why he specializes in heists. He’s spent time behind bars, but only one other person in the entire group knows this, and it’s not Jurgen (It’s “You, elf!”). Jefff’s chance for a better life came after one bungled heist when he was the inside man, disguised as a regular user at a hyper-bank. The robbery went awry when one of the other customers was actually a crack vesk operative, who took out the lead gunman and skills person, before holding the group at bay until authorities arrived. The other members of Jefff’s heist didn’t rat him out, in hopes he would organize a break out for them once they were in jail. But the break out never came. When authorities were taking statements from witnesses at the scene, Jefff was mistaken for a true citizen, and given a prefabricated life to step into, he took it. Thus “Jeff..f..f?” was born. The authority figure who took his statement mistook the stutter for a ‘triple F’ in his name, and the moniker was created and has stuck ever since. For three years Jefff led the quiet and gray life of a commoner, before being sought out by the same vesk operative who had thwarted his entire team. Impressed with his skills at bluffing, and living undercover for so long, he asked Jefff if he didn’t want to attempt some extra jobs, to “pay time” for a crime the vesk knew he committed but couldn’t prove. Jefff agreed only on the circumstance that he could keep the name, and truly become Jefff “Triple F.” The vesk agreed. After just one successful job, Jefff was offered a group of his own making. He took Tech-ward to task (an android technomancer) and together they found an elf, a rat, and the dream-addled dwarf Jurgen. Jefff’s relationship with the group is a protagonist in the extreme. Knowing he’ll get Clara into trouble, he’s taken pains to learn the mystic art of healing. However, because he knows he can heal, he has no trouble putting Clara and the other members directly in the line of danger. Clever elf that she is, Clara’s never surprised at the unspoken amount of risk in each job, she just sighs and gets on with it. Jefff chose to work with Clara after the two dated a long time ago, and Jefff thought they hit it off while Clara politely disagreed. Finding out she had skills he needed he offered her a job and said she’d never be fired until they went on a second date. She saw nothing wrong with this proposal and accepted. Clara knows about Jefff’s past because the two got too much into their drinks on their one date. Bazaar Longshot, the ysoki gunfighter, is another story altogether. Jeffff needed a gun, and Bazaar needed a job, so it was a match made in heaven. Well, made out of convenience. Well, they both just couldn’t be bothered looking beyond the first candidate. Luckily for Jefff it turns out Bazaar is a better shot with his guns than anything else, and it’s lucky for Bazaar that Jefff believed him when he said: “I meant to get that guy in the eye.” The individual Bazaar had been aiming at was three people to the left, so it was only half a lie. Being the leader of the group, as well as the healer, puts special pressures on Jefff to be cool and collected at all times, but heists get him too excited to think straight, so he is his own worst enemy. Fortunately, his skills of observation are great, so the team he has assembled, for whatever reasons, is more than capable at getting the tasks at hand accomplished. Jefff’s only worry is everyone else in the group finding out about his real past, and the vesk operative who offered him these jobs in the first place. Just how long does this vesk intend to have him “pay time” on the crimes he committed but wasn’t found guilty of? Join me next time when we look at Clara Skullstinger, who could open a door and lock it behind herself before you could even get your gun raised!